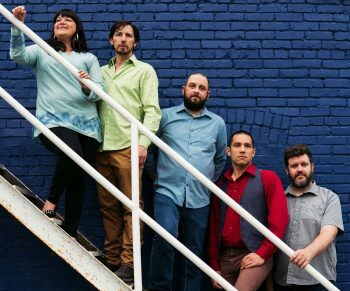 Surefire Sweat‘s debut appearance at Artword Artbar features the group’s inventive blend of jazz, funk and worldly rhythms. Players are: Dave Chan percussion, vocals; Larry Graves drums, vocals; Elena Kapeleris tenor sax, vocals; Paul MacDougall guitar, vocals; Liam Smith bass, vocals. Saturday March 16, 2019, at 8 pm, $15 at the door. Another of our regular Latin American Peñas, with music and poetry from South and Central America. Performers include: musicians Marcelo Puente, Lil America, and Fito Molena, and poets Ama Luna, Jessica Carrasco and Constanza Durán. Artword has assembled a little sampler of Kongero’s beautiful singing. Band members are: Waleed Abdulhamid bass,vocals, percussion; Joseph Callender soprano and tenor saxophone; John Ebata keyboard, piano, accordion; Aaron Ferrera drums, percussion; Cory Sitek alto and soprano saxophone, flute. Saturday February 16, 2019, at 8 pm. Mr. Jay hosts another fabulous Acoustic Moments show, featuring world-class reggae music by The Riddim Riders Unplugged. Core members Franklin Joseph and Mike Rajczak are joined by vocalist Lauren Mikayla. and Lorne Hinds on lead guitar, plus guest Russ Wilson on bass. The band breaks away from their usual reggae-rockers vibe with this configuration, presenting an acoustic-soul vibe featuring acoustic and classical guitars, djembe, conga and hand percussion, and a big focus on rich vocal harmonies. 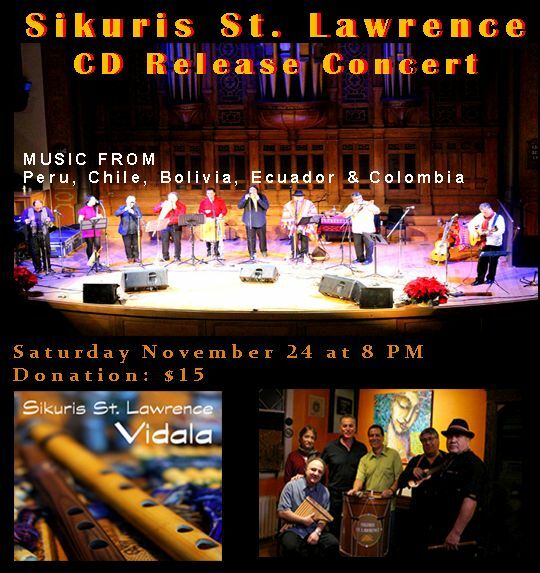 From Toronto, the Sikuris St. Lawrence band who play traditional South American music from the Andes: a special concert for their new cd Vidala. Band members: Ernesto Cardenas (vocals and Andean wind instruments), Rodrigo Chavez (guitar, charango, percussion), Marco Frangini (vocals and sikus), Jose Sanhueza (vocals, guitar and small percussion), Nano Valverde (guitar, Andean wind instruments and bass), Miguel Vasquez (Andean wind instruments and percussion). The sikus is South American pan-flute (Aymara language); a sikuris is a person who plays the sikus. The story: In 1983 a group of South American musicians living in Toronto gathered every Saturday at the legendary St Lawrence Market to play their music, exchange ideas and practice their instruments. Now, the SIkuris are gathering again to share their music and pay respect to the ancient music of the South American Andes. Instruments include the sikus, spanish guitar, charango, venezuelan cuatro guitar, kena, bombo, bass drum. 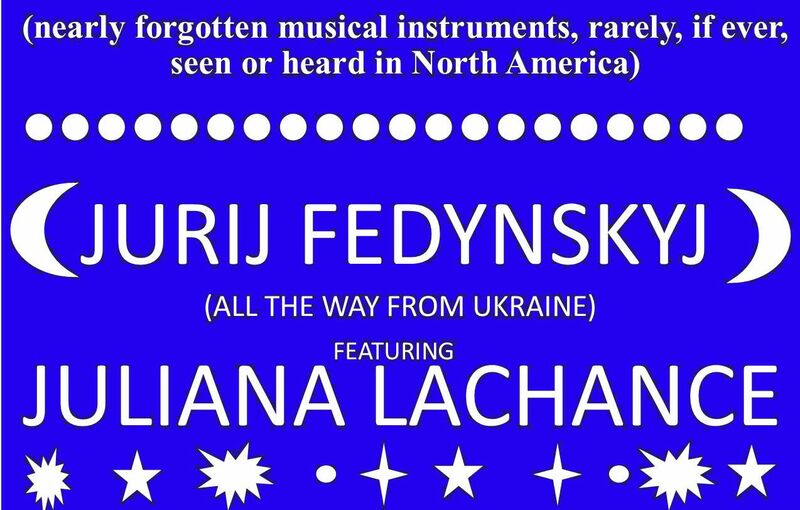 Musician Jurij Fedynskyj presents The Lost Instruments of a Forgotten Ukraine, the original torban, kobza, and bandura, on his North America tour. This show at Artword Artbar is organized by Juliana Lachance, one of his bandura students, and a Hamilton musician. Mr. Jay hosts another fabulous Acoustic Moments show, featuring world-class reggae music by The Riddim Riders Unplugged. 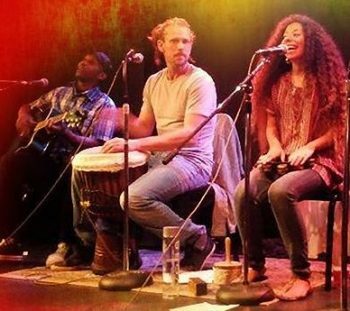 Core members Franklin Joseph and Mike Rajczak are joined by vocalist Lauren Mikayla and lead guitar Keon Crosswell. 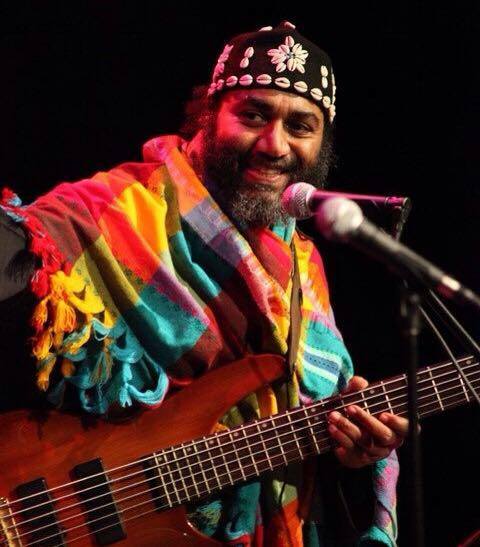 The Waleed Kush African Jazz Ensemble returns! This ensemble combines the ancient rhythms of Africa with the jazz harmonies of modern times. 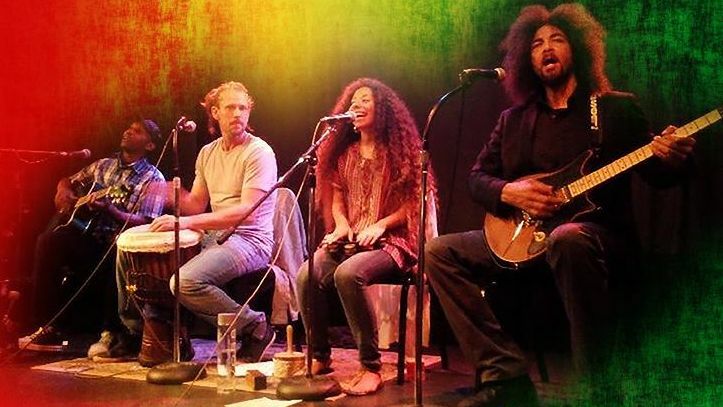 Band members for July 14 are: Waleed Abdulhamid bass,vocals, percussion; Joseph Leo Callender soprano and tenor saxophone; John Ebata keyboard, piano, accordion; Ilios Steryannis, drum kit, and Gustavo “Repique” Rosa, percussion and hand drums. Saturday July 7, 2018, at 8 pm $15/$10. 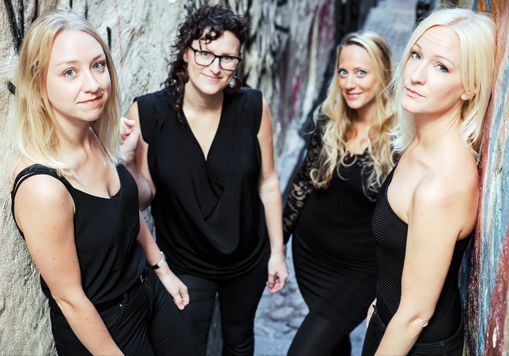 Call Artword Artbar 905-543-8512, or Book online Kongero is a Swedish vocal group of the four female folk music singers Lotta Andersson, Emma Björling, Anna Larsson and Anna Wikénius. The highly acclaimed folk vocal group Kongero draws traditional Swedish music out of the past and into the present. A concert with Kongero will take the listener on a fabulous journey, an all-embracing Scandinavian folk music experience. Blue notes, amazing vocal polyphony, groovy, powerful, and intimate. The band was formed in 2005 and besides doing concerts they also conduct well-received workshops in traditional Swedish vocal music and vocal harmonies. So Long Seven, a delightful quartet — Neil Hendry (guitar, mandolin), William Lamoureux (violin), Ravi Naimpally (tabla) and Tim Posgate (banjo) — returns to Artword Artbar. So Long Seven brings their new CD/Vinyl Kala Kalo back to the town where they recorded it. 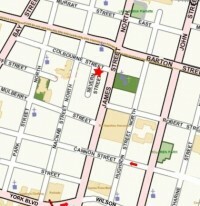 Plus special guest Adrean Farrugia (another Artbar favourite) will play a set of solo piano. A stellar concert of Klezmer music with our good friend singer Allan Merovitz and an all-star Klezmer Trio: Brian Katz (guitar, piano), Jonno Lightstone (clarinet, flute), George Koller (bass). Allan is widely known as a singer with Flying Bulgar Klezmer Band and some of the world’s top Yiddish and Klezmer ensembles including the Ot Azoj Klezmer Band of Amsterdam and the Montreal based Merovitz Project. Artword Theatre has directed and produced numerous remounts of his celebrated play If Cows Could Fly. Wednesday June 20, 2018, at 8 pm (by donation). An evening of Syrian and Latin American music, hosted by the Emergency Support Committee for Refugees. Special guest is Syrian oud player Moutaz. Also performing are singer Lil America from El Salvador via Cuba, and local band Babbage Industries. More details coming. Friday June 8, 2018, at 8 pm, $10. 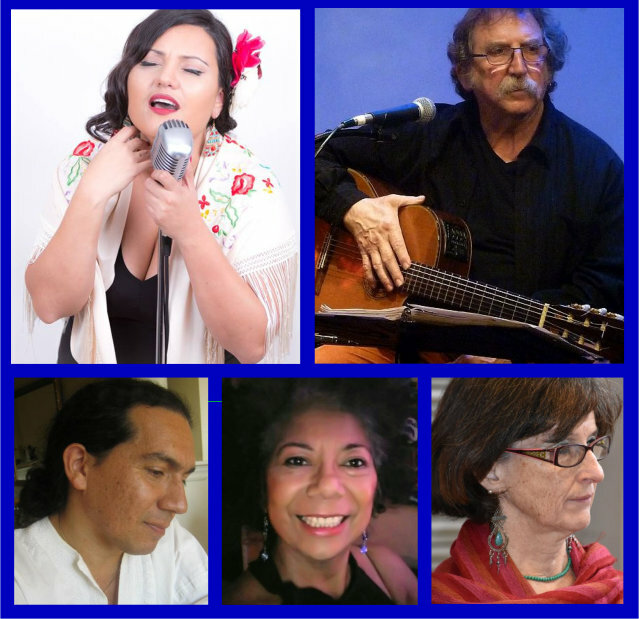 Latin American peña (evening of poetry and music), with musicians guitarist-singer Marcelo Puente, singer Lil America, musician/laptops Edgardo Moreno, singer Nancy Reyes, musician Jose Lobos, and singer-songwriter Fito Molena. Poetry by Ama Luna and Constanza Durán. Thursday June 7, 2018 at 8 pm, $15. 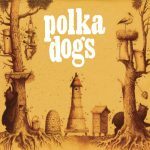 After an over 25-year hiatus, The Polka Dogs, Toronto’s beloved theatre based band returns with an Ontario tour and new CD June 2018. 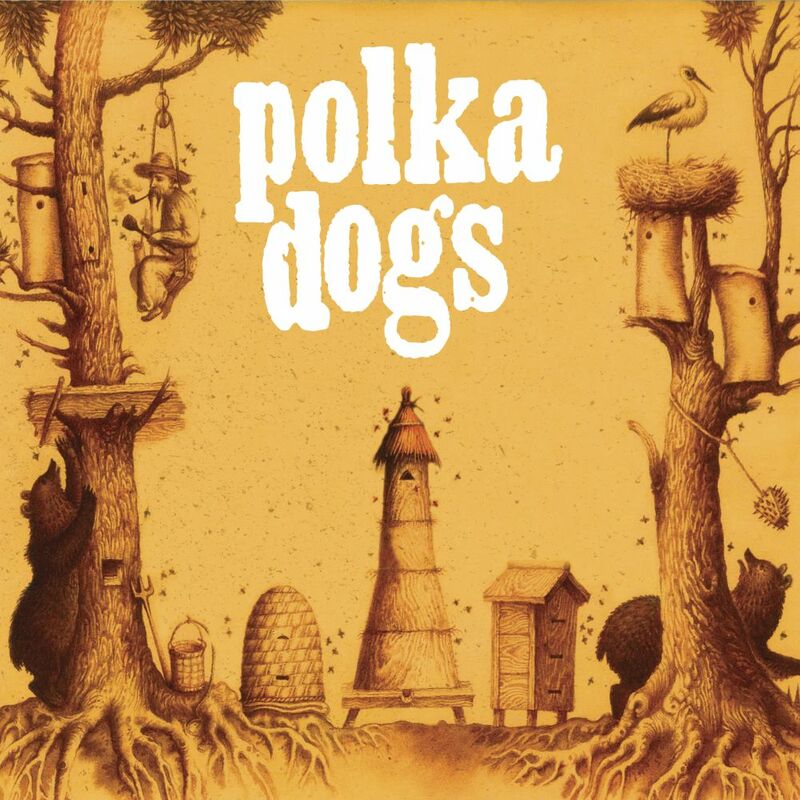 The revived, renascent, and reformed Toronto theatre-based band, THE POLKA DOGS, have returned after a 25-year hiatus. Starting as a theatre pit band in 1989, the band wowed the world in the 90s with an explosive, raucous, joyous sound of trombone, tuba, banjo, drums and that sultry, fantastic voice of theatre staple John Millard. The band returns with the same original sound, and features all five of its founding members including, Tom Walsh on trombone, Tiina Kiik on accordion, Colin Couch on tuba, John Millard on banjo and vocals, and Ambrose Pottie on drums. 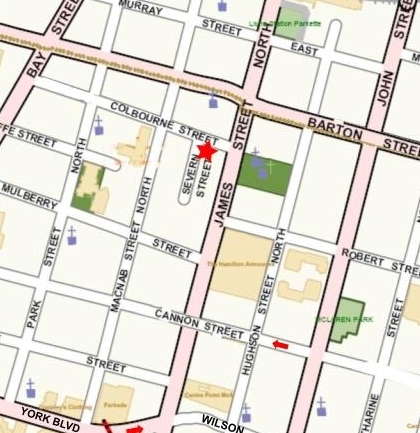 Tour dates: June 2, 8pm at Burdock, Toronto; June 7, 8pm at Artword Artbar in Hamilton; June 8, 8pm at Silence in Guelph. Join us for an evening of World music with the William Mukuna Trio. The trio performs original compositions fusing elements of Afro-beat, Latin rhythms, Hip-hop and Jazz improvisation. Will Mukuna guitar, Brad Cheeseman bass, Marito Marques drums.